Once again, I’m covering American Horror Story for The A.V. Club. 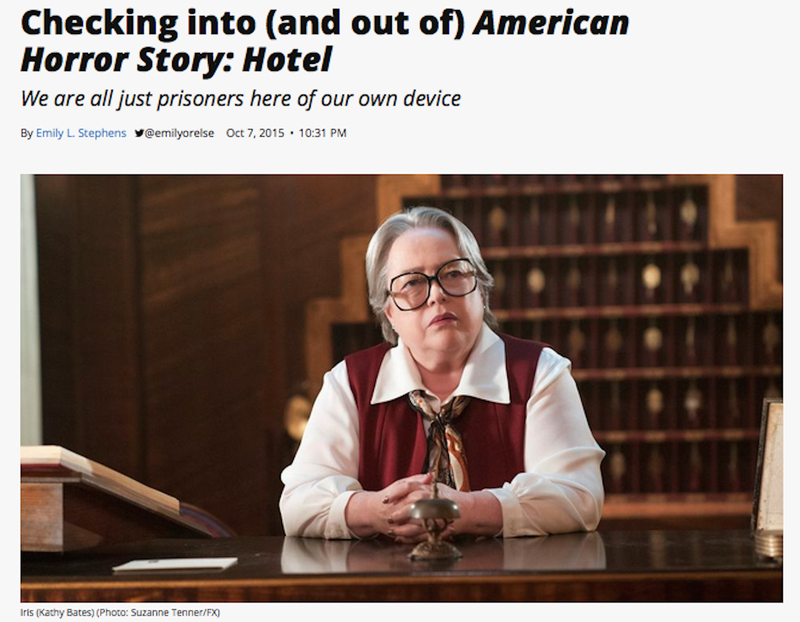 You can check out my review of “Checking In,” AHS: Hotel‘s premiere, here. At first blush, it seems like a standard phishing attempt, but tagged onto the end is a hint of something gruesome. Is this simple spam or one o’ them curse-from-beyond dealies? I guess we’ll see five days from today, at 12:42 a.m. Or my survivors will. St. Valentine’s Day is an excuse to express our most intense or obscure passions. But words can be a frail tool to capture the complications and complexities of this thing we call love: the sweet blush of infatuation, the kinship and kindness of true companions, the frenzy of unfettered lust, the torments of jealousy, betrayal, or heartbreak. 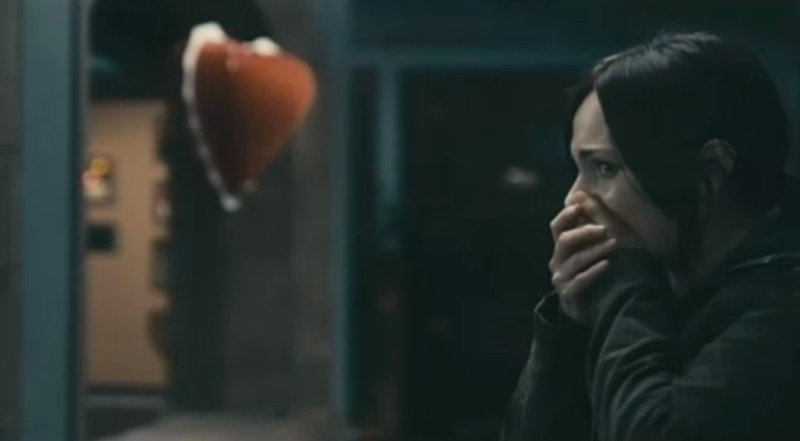 So perhaps it’s no coincidence that three films set on Valentine’s Day hinge on the fragility and feebleness of words, creating worlds where meaning and reason fall apart. “I don’t want to put the group in danger. I was trying to go in deeper with this. At this point, it’s clear that they’re trying to exterminate folks.” Elon James White‘s overnight coverage (Tuesday, August 19th) in Ferguson, Missouri. Today at The Toast, my essay about motherhood as depicted in Bunny Lake Is Missing, The Others, and El Orfanato.